here you find helpful information to travel in many countries,places to stay ,how to get there etc.etc. Our site is dedicated to backpacking, student and independent travel. We have designed this site for our fellow travellers keeping in mind all the information, advice, tips and tricks we would like to hear for our own travels. Enjoy your wanderings through the site and happy travels. here comes the site of one of the best underground Clubs in Kreuzberg, the PRIVATCLUB, as well as updates for various other concerts and events at several locations. concerts: Indie Pop, Rock, Electro dancefloor & party events: Retro, Nothern Soul, Beat, Indie Pop, Elektro, Trash Pop, Club Tunes, Big & Break Beats, Hip Hop and original 60`s Soul. the site that helps you save on phone costs while travelling germany. 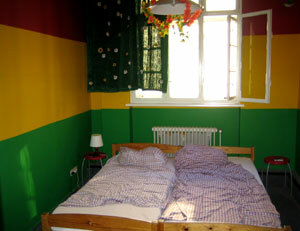 All listed Hostels are available through a 0800 free call number, 0800-bookabed. More than just churches and castles! an interactive tour covering all the major sights from the heroes sq. downtown pest and to the castledistrict in buda.